Rebellious Bunch Toto Villaruel featured on Destination Inspirations! There's a different sense of pride when a Filipino wedding talent crosses over and gets a blog feature in the International scene. Rebellious Brides is a strong advocate of this. In fact, we personally share our weddings in foreign blogs not because we are narcissistic but genuinely because we want the world to know that Philippines is oozing with so much talent in the wedding arena. When a wedding is asked to be featured in a foreign blog, it's such an honor because they are much more discriminating in terms of the photography quality. 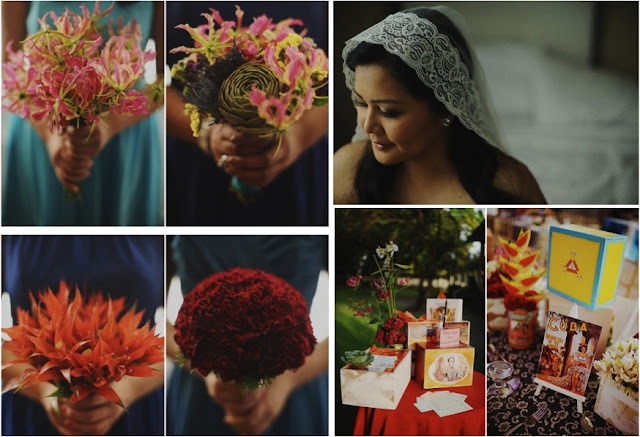 Rebellious Bunch Mango Red and Filipina/Singapore-based photographer Josephine Sicad for instance, are regulars in Rock 'n Roll Brides and it makes us feel giddy for them because inevitably our country in general gets recognized POSITIVELY. So when we found out that Rebellious Bunch Toto Villaruel's photos recently graced worldwide-based blog Destination Inspirations, we went "WOOT!" 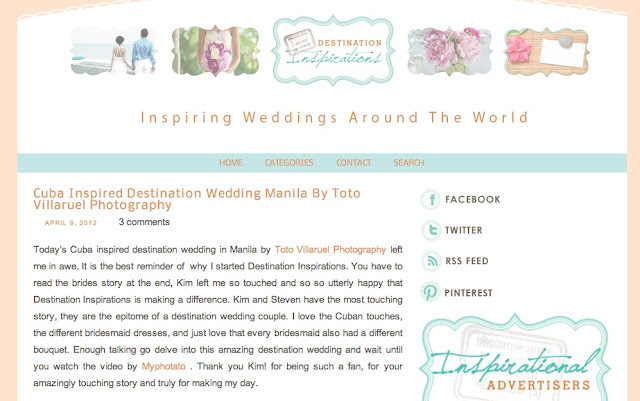 To be featured in a blog like Destination Inspirations is so important for our country because this blog curates wedding venues from all over the world. In effect, not only do we get to promote our wedding innovators, we also get to promote "More Fun in the Philippines". Because of this wedding feature, other Philippine-based artists have been recognized as well, including Rebellious Bunch Vatel and Rebellious Bunch Passion Cooks. Flowers from Vatel, Styling/Catering from Passion Cooks, and Photos from Toto Villaruel were all featured in Destination Inspirations! Go Pinoy! Visit the feature by clicking any of the photos above. A special shout-out to Toto: Congrats on this feature! Clap clap clap!! !